Two Balearic Shearwater were off John's Watch this evening but there was no sign of the Bonaparte's Gull in over 150+ Black-headed Gull present, also offshore this evening an Arctic Tern with 25+ Common Tern, a first year Mediterranean Gull, an Eider and the first Hobby of the year flew north. A Little Tern was present in the morning along with single Red-throated and Great Northern Diver and the first Swift of the year,106 of them, a high count for April. Elsewhere counts from the estuary included 42 Dunlin, 40+ Whimbrel, 22 Bar-tailed Godwit, 14 Ringed Plover, 14 Sanderling, 14 Grey Plover and two Knot, with migrants including the first Whinchat of the year, four Wheatear, 40+ Swallow and two Sand Martin. The first year Bonaparte's Gull was again offshore late evening before heading into the estuary. Also offshore a Roseate and two Common Tern, 11 Manx Shearwater, an Eider with two Balearic Shearwater also reported. In the estuary there were 37+ Dunlin, 20+ Whimbrel, 16 Bar-tailed Godwit, seven Ringed Plover, four Sanderling and two Grey Plover. 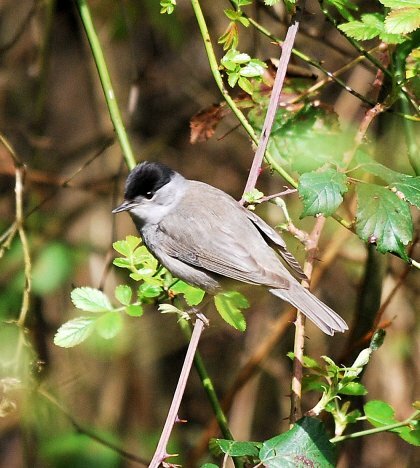 A Lesser Whitethroat was in Dead Dolphin Wood, the first of the year. The highlight was a Red Kite north over the Visitor centre mid morning, otherwise it was quiet with the overnight rain failing to produce anything except damp ground. Migrants included three Wheatear, two of which were Greenland, 30+ Swallow and two Sand Martin. Offshore during the morning a single Little Tern was with c30 Sandwich Tern, two Manx Shearwater, two Red-throated Diver, 65 Common Scoter and nine Eider were also present. In the evening the second year Glaucous Gull was on Bull Hill and 35 Manx Shearwater flew east offshore. Elsewhere 25+ Whimbrel, 15 Dunlin, seven Ringed Plover, four Sanderling and a Dark-bellied Brent Goose were in the estuary and the Slavonian Grebe reappeared having been up river in recent weeks. A second year Glaucous Gull on sandbars offshore mid evening was the first on site since January 2008, it had previously been seen on the Otter. Also offshore at least five Eider and a Red-throated Diver. Elsewhere a Jay flew over the Buffer Zone early morning and migrants included a Yellow Wagtail overhead and two Wheatear with 22 Whitethroat likely to be on territory. The Roseate Tern was again offshore, the only small tern present. 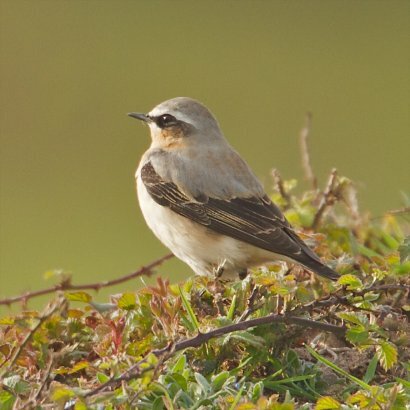 The only other news received was of three Wheatear including at least one Greenland race bird and a Kestrel. The first Arctic Tern of the year was offshore with a single Common Tern, 35 Manx Shearwater and three Red-throated Diver. Elsewhere migrants included 30+ Swallow, three Sand Martin and three Wheatear including a Greenland race bird, whilst two Common Sandpiper, c50 Dunlin and a Dark-bellied Brent Goose were in the estuary and a Merlin was reported over Warren Point. 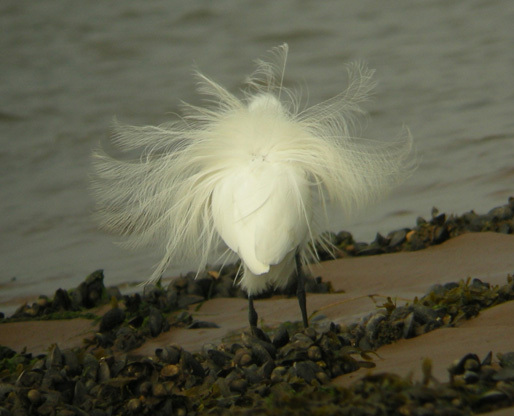 A Roseate Tern was reported offshore the earliest for several years, the first winter Bonaparte's Gull was also present. Elsewhere 70+ Whimbrel were on site. The first winter Bonaparte's Gull was again offshore during the morning, mostly distant but occasionally showing well off John's Watch. When feeding it often associated with half a dozen Kittiwake. Also offshore two Little and nine Common Tern, a first summer Mediterranean Gull, 12+ Manx Shearwater, three Eider and two Red-throated Diver. Elsewhere there were 18 Whitethroat on site, c30 Swallow flew through and in the estuary three Dark and a Pale-bellied Brent, 25+ Whimbrel, 15 Grey Plover, 10 Dunlin and a Ringed Plover. A Great-spotted Woodpecker was the only less than expected record on another clear hot spring day. Migrants on site included two Wheatear and two Willow Warbler with the 10+ Whitethroat and three Reed Warbler probably now in for the summer. Elsewhere five Common Tern were offshore and in the estuary there were 15 Dunlin and four Dark-bellied Brent Geese. In the clear sunny conditions there was a very light passage over the site, with 30+ Swallow, eight Goldfinch, two Siskin, two Sand Martin, a Tree Pipit and the first Yellow Wagtail of the year. Other firsts included a Common Sandpiper along the beach and more surprisingly a Greylag Goose in front of the hide. Grounded migrants were limited with 14 Whitethroat, four Wheatear and two Willow and a Sedge Warbler noted. Offshore a Long-tailed Duck was with Common Scoter, also present 32 Eider, six Manx Shearwater and six distant Common Tern. Elsewhere 19 Pale-bellied Brent Geese flew upriver and in the estuary there were three Dark-bellied Brent Geese, 24 Whimbrel, 14 Grey Plover and a Sanderling. The highlight was a first winter Bonaparte's Gull offshore early morning, the third site record and the first since May 2001. 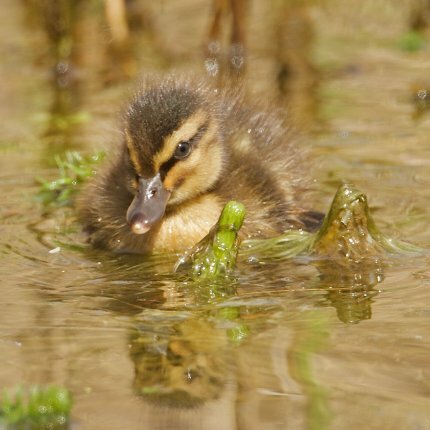 It was presumably the bird seen recently on the Otter. There was no sign this evening amongst 67 Black-headed Gull, although an Arctic Skua was the first of the year. Also offshore this morning three Common Tern and c20 Eider. Elsewhere c50 Dunlin and six Whimbrel were in the estuary and 12 Whitethroat were on site. The migration of Pale-belled Brent Geese was apparent during the day with 170+ still in the estuary, although outside the recording area, early morning. Later in the day five were in the Bight at high tide and another 37 arrived from the east, five minutes after passing Budleigh. This flock remained offshore before heading north up the estuary. Also offshore a single Black-throated Diver south, 100+ Common Scoter, c90 Black-headed Gull, c40 Sandwich Tern and 20 Eider. Elsewhere c40 Dunlin, 17 Ringed and 15 Grey Plover, 10+ Whimbrel and two Sanderling were in the estuary and migrants included the first Tree Pipit of the year overhead, a Redpoll also over, 10+ Whitethroat, two Wheatear and a Sedge Warbler. The highlight was several flocks of Pale-belled Brent Geese arriving during the day totalling over 200 birds. 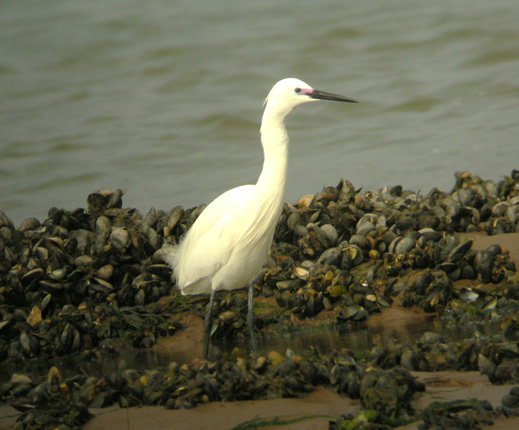 These eventually settled at Mudbank Lane, Exmouth where 270+ were counted, the most on the estuary since May 1932. The majority of this flock were seen early afternoon on Weymouth Bay before being tracked west along the coast. Other records included at least 10 Whimbrel and six Black-tailed Godwit. The first Sedge Warbler of the year was recorded along with 20+ Wheatear. Offshore a summer plumaged Black-throated Diver and two Little Tern were off John's Watch and there were c40 Common Scoter, c30 Eider and a flock of 23 Pale-bellied and three Dark-bellied Brent Geese flew south. Early morning saw 23 Pale-bellied Brent Geese and a Whimbrel on sandbars offshore with 12 Eider and six Red-breasted Merganser on the sea this evening. Elsewhere 23 Grey Plover and seven Dunlin were in the estuary and the only new migrants were six Wheatear in Greenland Lake. Three Little Tern were offshore but no other news was received. Migrants included five Wheatear and two Whitethroat with Willow and Reed Warbler also reported. Other news was limited to 14 Eider and overhead six Swallow, three Buzzard and two Sand Martin. The first two Little Tern of the year were feeding offshore with Sandwich Tern, also present 35 Eider, two Black and a Red-throated Diver, a Black Tern was also reported, the earliest ever record. The only other news was a group of 25+ Wheatear that dropped in by the Visitor Centre briefly before rapidly moving through. The first Reed Warbler of the year was singing at Main Pond early morning, other migrants included two Wheatear, 10+ Chiffchaff, seven Blackcap, six Willow Warbler and three Whitethroat. Most migrants were probably passing through high overhead rather than making landfall, light vis mig through the day gave totals of 49 Swallow, 36 Lesser Black-backed Gull, 15+ Goldfinch, eight Rook, five Sand and three House Martin, a Siskin and a Wheatear. Offshore the first two Common Tern of the year were present with c50 Sandwich Tern and 35 Eider. Elsewhere a Cirl Bunting was briefly on the Dune Ridge, with presumably the same bird singing from the Golf Course later on, a Snipe in the desert and in the estuary there were 28 Dunlin, 18 Grey Plover, three Dark-bellied Brent Geese, two Sanderling and a Whimbrel. In the estuary there were 42 Dunlin and three Dark-bellied Brent Geese. Other news was limited to three Swallow and a Meadow Pipit heading north and a Collared Dove singing on the golf course was unusual for site. As expected there was no sign of the Wigeon this morning, indeed despite the flat conditions eight Great-crested Grebe were all that could be found offshore. Elsewhere a female Redstart was along the back path, two Swallow, a Jackdaw and a Rook flew over and in the estuary there were 26 Ringed and 20 Grey Plover, seven Dunlin, a Whimbrel and a Greenshank. A Nuthatch that was briefly around the Main Pond and Dead Dolphin Wood, before flying east along the ridge was shaping up to be the day's highlight. 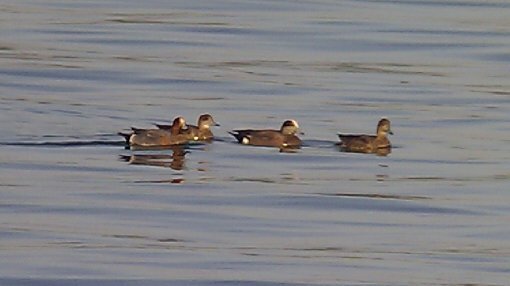 However mid afternoon a drake American Wigeon was found offshore with three Wigeon, they remained until dark, only the second site record, the first was in winter 1990/91. Also offshore two Red-throated and a Black-throated Diver, 35 Eider, 30+ Common Scoter and four Red-breasted Merganser. Also on site the earliest ever Whitethroat, 12+ Wheatear, 11 Chiffchaff, four Blackcap and three Willow Warbler with 12 Swallow, three Sand and a House Martin through. Migrants today included at least five Wheatear on the Wryneck Plain, 10+ Chiffchaff, three Blackcap and two Willow Warbler. Elsewhere 15 Redshank, 13 Ringed Plover, nine Dunlin and a Whimbrel were in the estuary and 24 Eider were offshore. A female Long-tailed Duck was offshore with single Black and Red-throated Diver, 23 Sandwich Tern and 18+ Eider with 78 Gannet, 78 Kittiwake, six Manx Shearwater and five Shelduck heading south. Elsewhere migrants included 11 Chiffchaff, four Blackcap, two Willow Warbler, two Sand Martin and a Swallow. The Red-necked Grebe was again offshore with 12 Great-crested Grebe and 30 Eider. Migrants included six Chiffchaff, four Blackcap, three Willow Warbler and three Swallow. In the estuary a Whimbrel and a Black-tailed Godwit were new arrivals and counts included 64 Curlew, 30+ Common Gull, 17 Ringed and 17 Grey Plover, four Dunlin, four Turnstone and two Sanderling. The main activity was again offshore with the first three Manx Shearwater of the spring, three Red-throated and a Black-throated Diver heading south and a Red-necked Grebe, 27 Eider and a Velvet Scoter on the sea. Elsewhere counts from the estuary included 20+ Sandwich Tern, 25 Knot, 15 Grey and nine Ringed Plover, five Dunlin, three Bar-tailed Godwit, two Sanderling and a Brent Goose. Migrants were again restricted to two Wheatear, a Willow Warbler and two Swallow. Records from the seawall late afternoon included a Black-throated and a Red-throated Diver, 30+ Eider and 48 Sandwich Tern, the most unexpected record though was a flock of 18 Tufted Duck flying around the bay and occasionally settling on the sea. Elsewhere two Wheatear and a Willow Warbler were on site, six Swallow and two Sand Martin flew through and in the estuary there were 19 Grey Plover and seven Teal. Single Willow Warbler and Wheatear were onsite today with 10 Sandwich Tern offshore and a late Snipe in Greenland Lake.